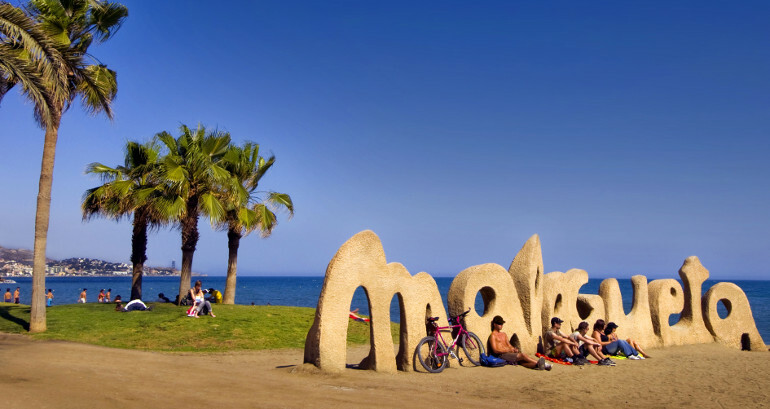 We usually relate Malaga with vacations and leisure, but this definitely more than charming beaches, sun and “pescaito” as it presumes to be one of the ten cities with the highest quality of life and one of the favorites of Spaniards and many foreigners to live. Apart from listing the typical features of a coastal city, we will add more features, so that you end up falling in love with this wonderful area. Málaga has the best atmosphere to forget the stress of daily life: its smell of the sea, the gentle breeze and the warm sun during the whole year helps to relax. Even in the center, you can feel a casual and harmonious atmosphere. Its wide streets, extensive parks like the Oeste, its viewpoints, such as Gibralfaro or its promenades along the Costa del Sol, are the perfect elements that make this city a peaceful place to start a new stage of your life. 2. The weather, of course! 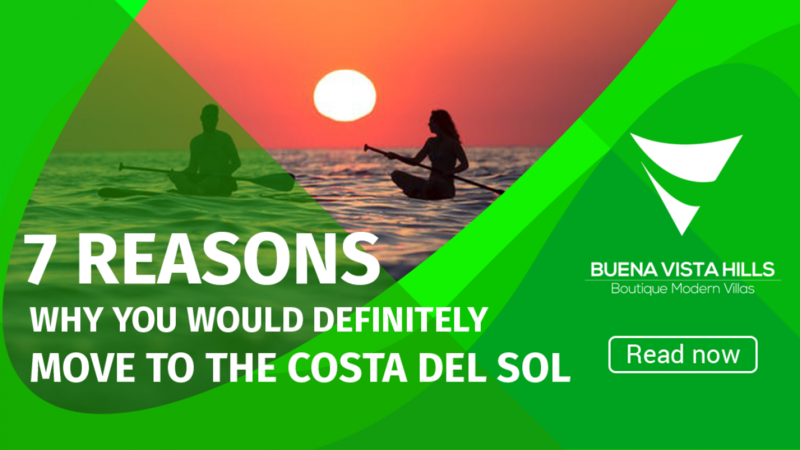 It is impossible not to include among these reasons the climate of this Andalusian city, considered the sunniest city in Spain, which has more than 300 days of sunshine a year and with an average temperature of 19 degrees. In summer, it is not so hot and in winter it is not so cold. You thought this phrase was a myth, right? 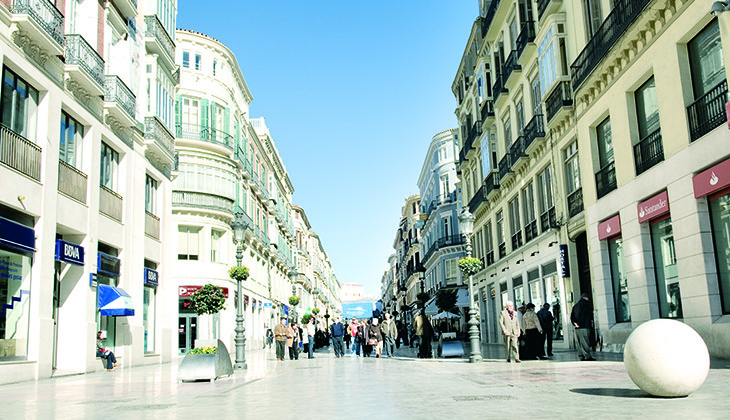 You can see that in Malaga it is possible to enjoy a mild temperature during all the seasons of the year. As a big city, it offers all kinds of urban and metropolitan activities one would expect to find capital. It has alternative cinemas, more than twenty museums, concert halls, urban art (the famous Soho artistic district) and famous galleries of conceptual artists. It also has the infrastructure of a large city: metro, airport, well-connected roads, shopping centers, etc. 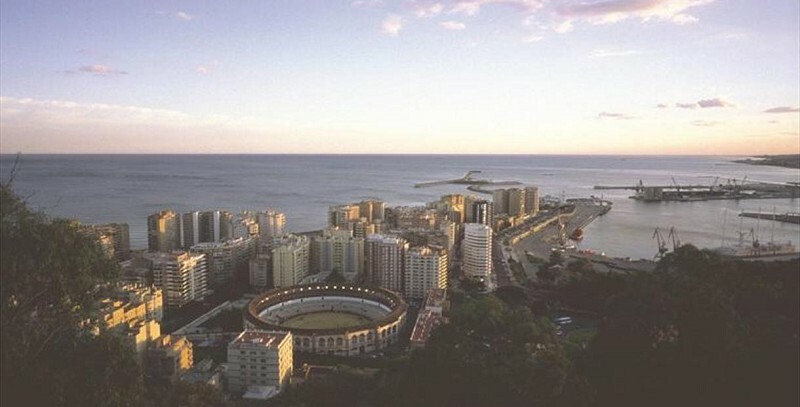 If you like the atmosphere of the capital but at the same time want to enjoy the advantages of the coast, you can rent or buy your apartment in the Center of Malaga, as it is close to the sea and has all the advantages of an urban center. Doing things like paddle surfing, diving or banana diving is considerably affordable. You can also do mountain-related activities such as the descent down the river Benahavís or the route to Pico de Torrecilla, among many others. With a snack and mountain boots, you can discover the impressive landscapes of the Sierra de Málaga. 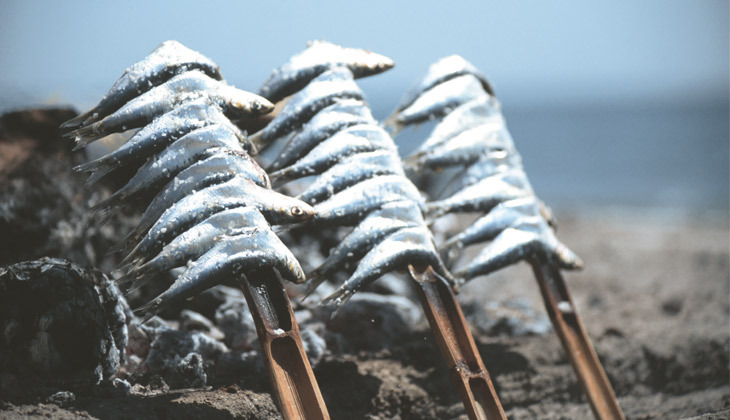 In addition to the thousands of activities to choose from, the gastronomy is very varied and … quite economical! You can find tapas bars in all corners of the city, as well as the traditional “espetos” that, for little money… you can eat like crazy! It has incredible beaches, considered the envy of Europe, and different features, depending on the area in which they are, ranging from the rockiest areas to the east of the province to the beaches of fine white sand to the west. But this town also has a large number of mountainous areas: the Sierra de las Nieves is a natural park considered a Biosphere Reserve, in addition to the whole mountain range of the mountainous villages of the province, Ronda, Júzcar or Antequera are somewhere you can find all the wonderful landscapes with lots of natural features and many activities. One spot that you cannot miss if you love heights, is the Caminito del Rey in the Sierra del Guadalhorce, which has National and international tourism awards. We locals are said to be very nice, that must be for something, right? 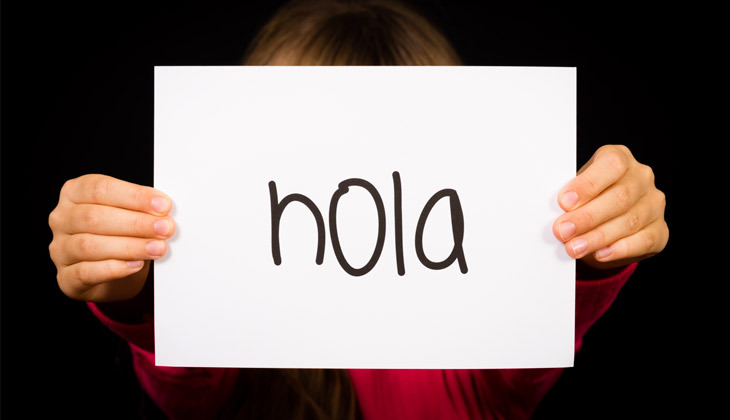 We talk to everyone and you will always feel at home wherever you go, we are so open and many say that it may be because of the weather that we are happy but, what is important is that you will find a lot of diversity and different cultures in this city. We respect and help each other at all times, so you will always go out with a new friend from anywhere you go. You can find big monuments and historic buildings in the old town. Getting involved with its history and its unique architecture will amaze you. 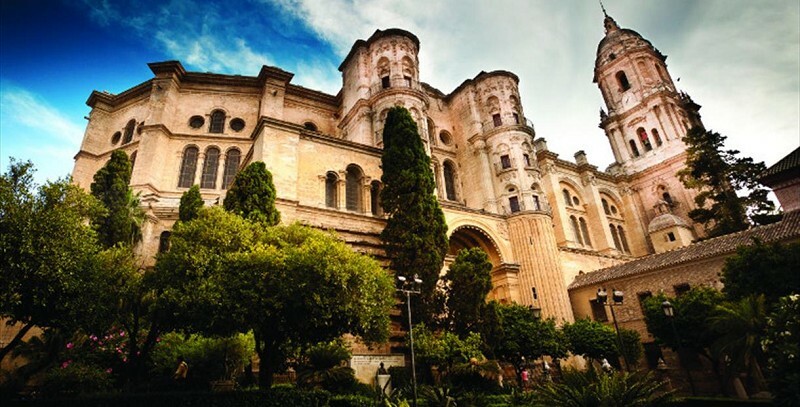 The famous Alcazaba, the Roman Theater, the Gibralfaro Castle and the Cathedral are buildings you cannot miss. These are a few reasons why living in Malaga is a wise decision. There are many more, but to discover them you have to come, and not just on vacation. We invite you to start a life in an incredible city, so you can enjoy all it has to offer! If you are looking for a spectacular house to settle in Malaga, here you will find the best offer. 3-4 Bedroom Luxury Villas From 540.000€ ENQUIRE NOW! Why Invest in Buena Vista Hills? Is It a Good Time to Buy an Off-Plan Property? Do You Know All the Advantages of Being a Self-Developer? Buena Vista Hills is a turnkey villa project located in a private community by the name of "Urbanizacion Buena Vista" an excellent location in Mijas with sea and mountains panoramic views.